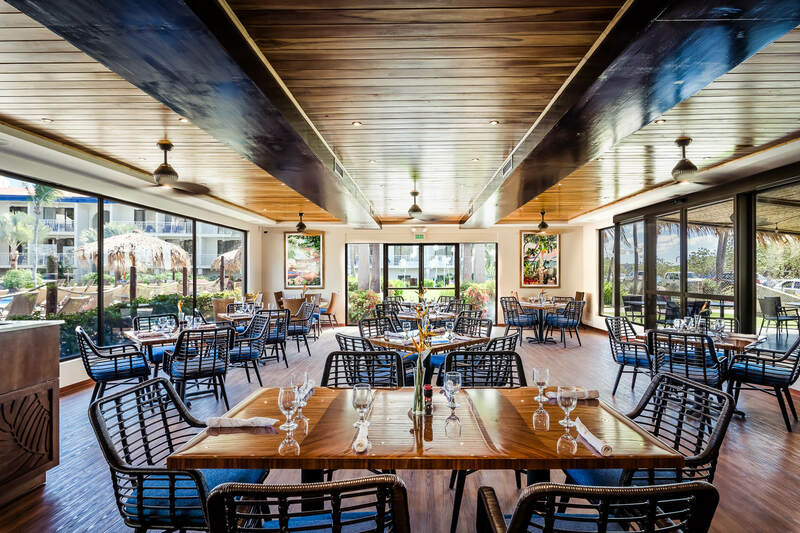 This Jimmy Buffet chain Margaritaville Beach Resort in Flamingo Beach on Costa Rica’s northwest coast, is sure to provide plenty of parrothead ambiance combined and “pura vida” vibe. The relatively small resort has 120 beautifully appointed guest rooms across from a white-sand beach and has a view of the Catalina Islands. 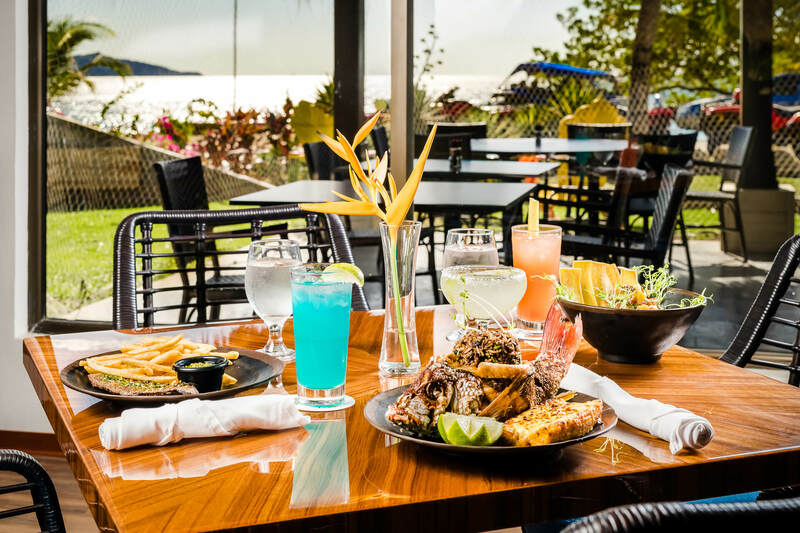 Just a little more than an hour from Liberia Intl Airport, guests are close to world-class fishing and scuba diving just a short 15-minute boat ride from Flamingo. Enjoy the waves breaking on the beach or the ever popular sunset sailboat cruise that includes a stop for snorkeling and a crew that will help you cast a line if you like to fish. 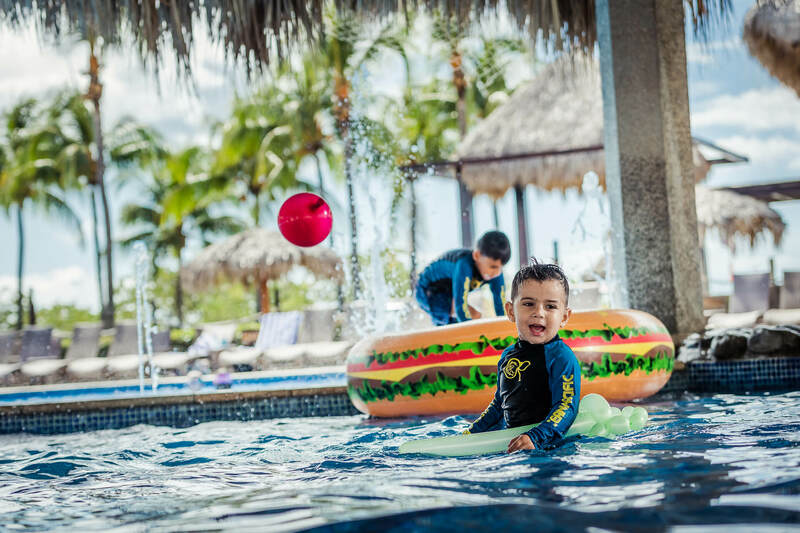 All of the best activities are easily accessible from the Margaritaville Beach Resort at Flamingo Beach including Zipline tours, ATV, mangrove kayaking, surfing tours & lessons, scuba diving lessons, wildlife boat tours and golf. The signature oversized main pool with swim-up bar is the highlight of the resort. 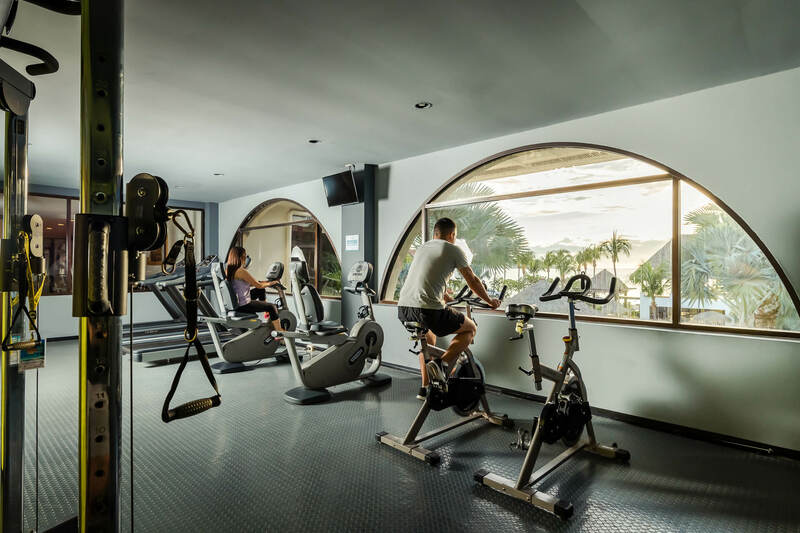 An oceanfront restaurant and lounge, a family center, watersports, a spa, a tennis court, a fitness center and covered children’s pool & playground are also available. 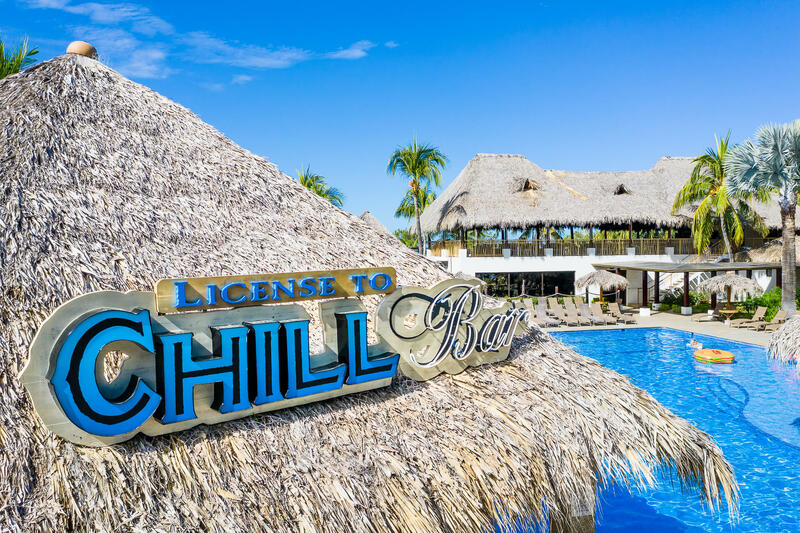 Watch one of the breathtaking sunsets over the Pacific Ocean that can be seen from the observation deck at the resort’s main bar and lounge or grab a bite to eat at a variety of restaurants and bars at Margaritaville Beach Resort. You can stroll over to the town center and get an ice cream after lunch or dinner. 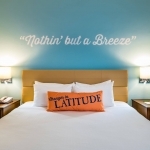 All-inclusive packages are available for purchase if you want to relax and know your costs in advance. 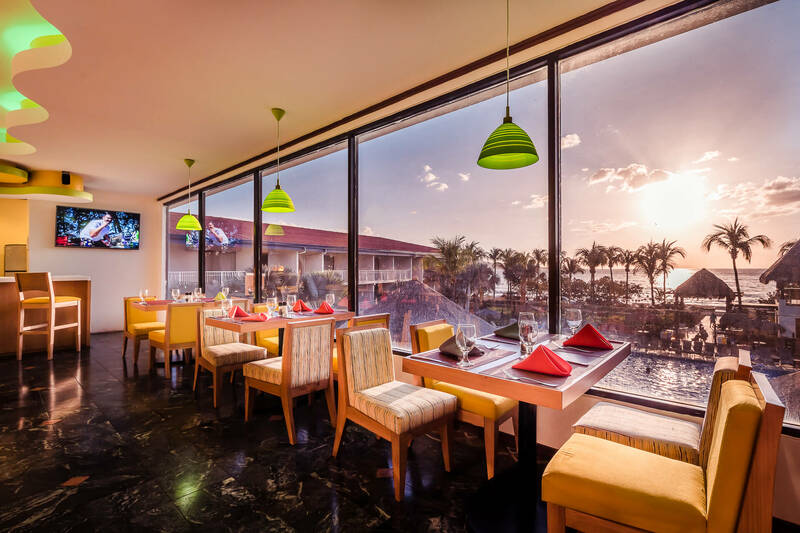 And if you want just breakfast, there are several restaurants within walking distance from the resort and in the nearby town of Brausalito you will find many more restaurants, bars and nightlife. Growing older, but not up, this family room is perfect for kids and kids at heart. 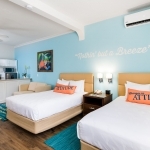 Fitted to accommodate the whole family in the soothing surroundings of the Costa Rican beach, this room features one King Size bed and 2 sets of twin size bunkbeds (total of 5 beds) and a full-size sleeper sofa. 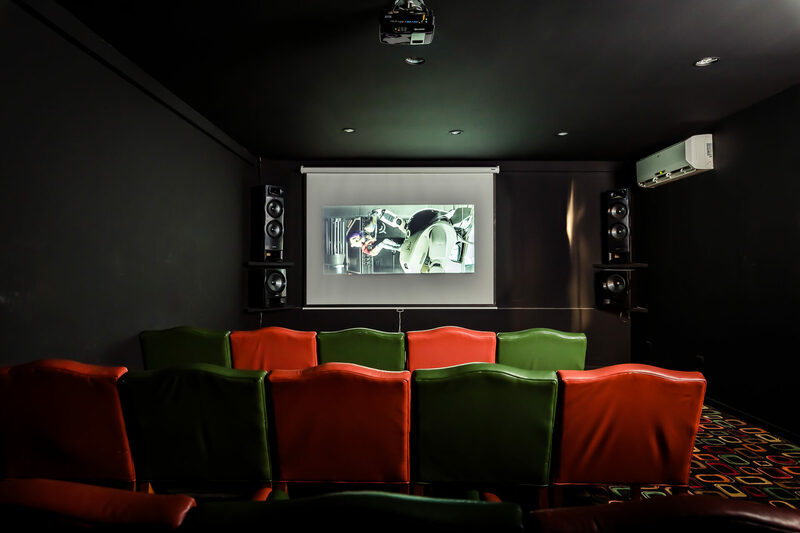 This wonderful family suite can accommodate up to 8 people (maximum 6 adults). This fresh and comfortable 320 Sq. 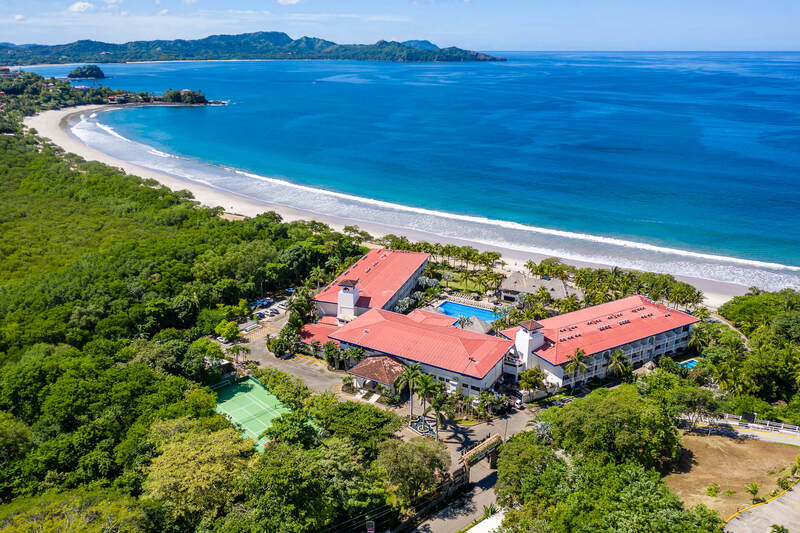 Ft retreat with contemporary furnishings and a soothing sand, sea and sky color palette mirrors the coastal atmosphere of Costa Rica. 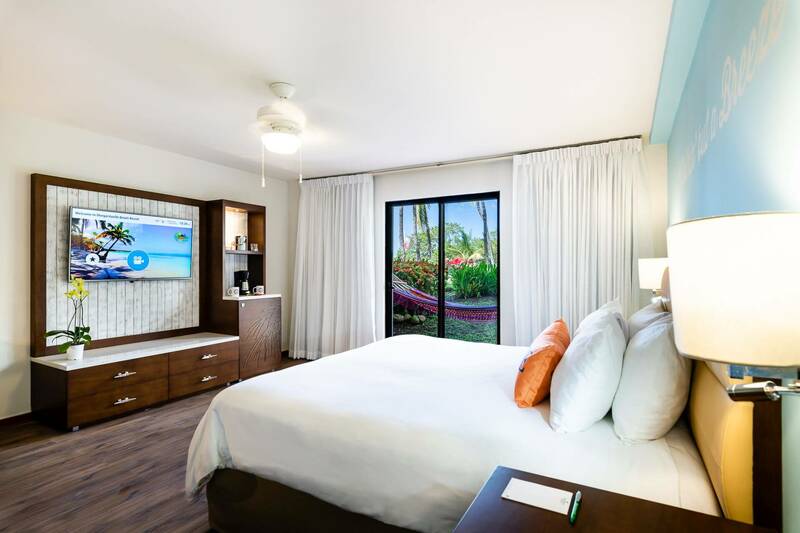 Instantly escape with the room’s King Size bed lined in custom, all-white linens and premium bedding and Margaritaville branded bath amenities or check out the gardens and resort activities on the beautiful private balcony with comfortable seating area overlooking the pool.